Venetian glass is world-renowned for its frozen fluidity. Whether it is bent into long, sinuous leaves that make up a flowery Baroque chandelier or forms a huge, single, clear drop that encases colored waves, the glass twirled from Venetian furnaces has a style and pedigree that can’t be matched by any other. And oh! The glass beads! Because fire was hard to control in medieval times, glassmaking was restricted by law in the thirteenth century to the Venetian island of Murano. 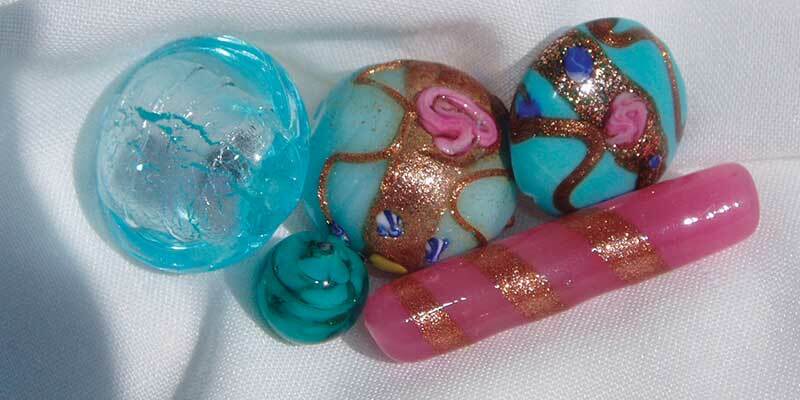 The discovery of the New World opened up a huge new market for Murano beads. Very portable, easily portioned, and completely novel to Native Americans, seed and bugle beads quickly became the currency of explorers. 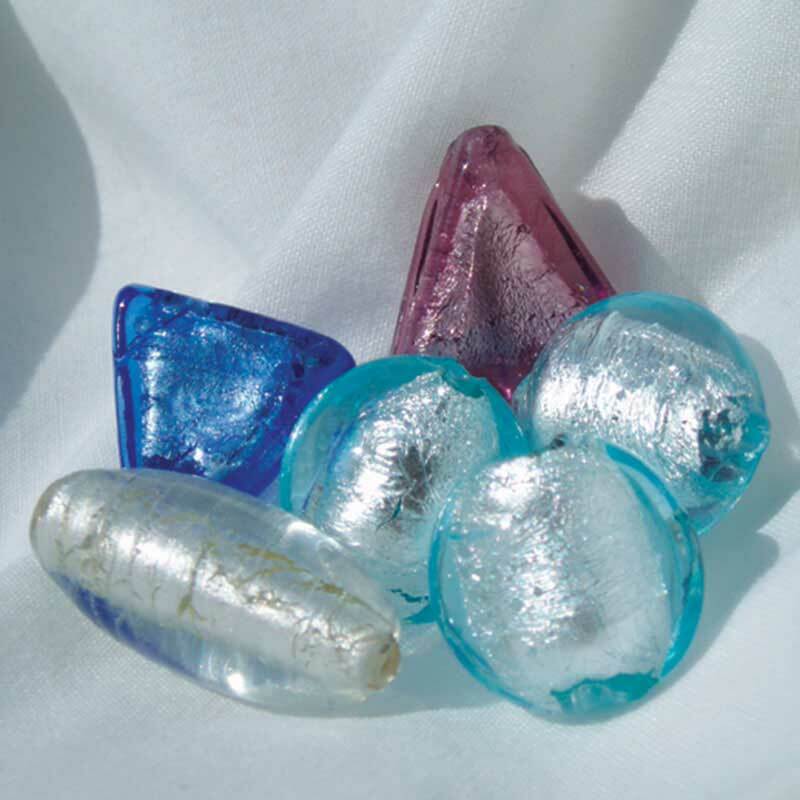 That development resulted in an explosion of beadmaking on the island at the height of the Renaissance. 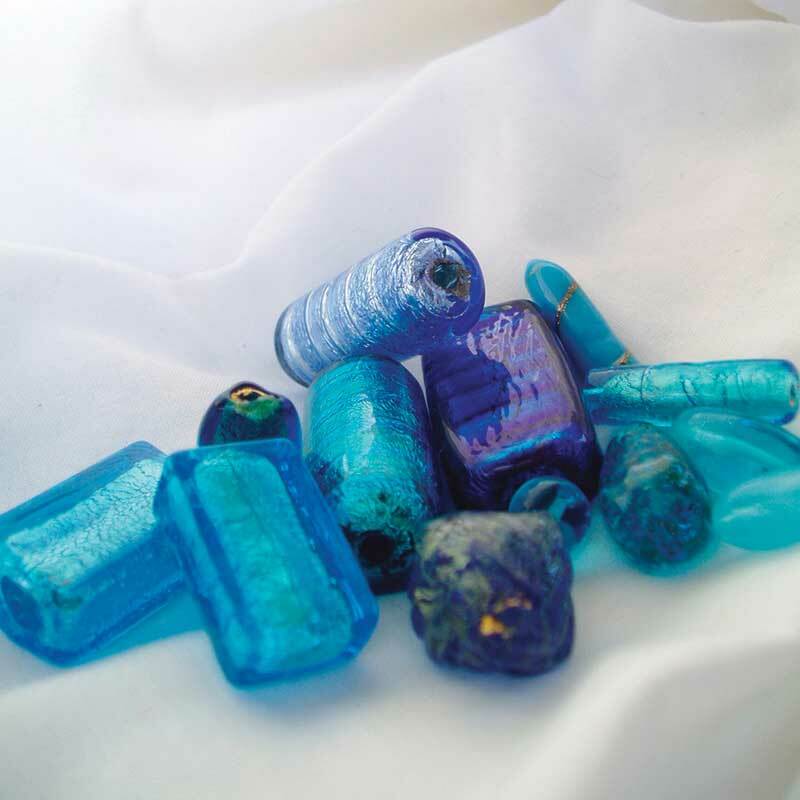 More than 4,500 tons of beads a year were exported from Murano. In Murano, you can find everything conceivable in glass. You name it–from cartoonish octopi to fragile filigreed goblets–you’ll find it. You can also observe the traditional glassmaking craft: glowing gobs of molten glass pulled from a furnace and spun and blown into shapes. Meanwhile, the craft that was banished for centuries has come back to Venice proper. Because many ancient beadmaking techniques have been lost, a handful of artisans are recreating them by trial and error. Working in small, modern studios that occupy the back half of Venetian shop fronts they are hard at work. 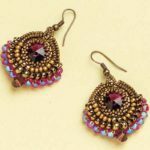 To this day, beads are woven into the decorative fiber of Venice, and continue to grace the necklines and ear lobes of us jewelry artists around the world!